Submit a Bid, RFP, RFLOI, RFQ, RFI by clicking below. Become a vendor with the City of Harrisburg. The Purchasing Office is responsible for overseeing the procurement of most City materials, supplies, and services. All procurement files for public bids and purchase orders are documented by the Purchasing Office. Furthermore, this office must assure fair and equitable distribution of City contracts and agreements for capital and non-capital products and services, including the preparation and advertising of public bids and the awarding of those contracts.  The City of Harrisburg makes purchases on the open market, by informal or formal requests, or by utilizing cooperative contracts. A Purchase Order is required in advance of all goods purchased or services engaged for contracts with a value of more than $3,500 annually. Additionally, all credit card purchases require a Purchase Order for requests in excess of $250. $0 – $3,500: Purchases may be authorized by the Department or Bureau Director. $3,500-$20,099: Purchases which require a City approved Purchase Order in advance of the purchase of goods or engaging in services. Professional and Non-Professional services may require City Council approval at the discretion of the City Solicitor. $20,600 and above: Purchases made based on a formal solicitation. Professional and Non-Professional services may require City Council approval at the discretion of the City Solicitor. Purchases require a City approved Purchase Order in advance of the purchase of goods or engaging in services. For further details on the City’s Purchasing Policy please view the Policy document link. Who do I contact for information pertaining to payment on goods and services provided. All payment of invoices in the city happens at a departmental level (generally not through Accounts Payable). Every purchase order has a “Ship To” address which indicates the city department responsible for originating and following through with all payments to vendors. How do I submit a response to a solicitation? Where can I get the Mercantile/Business License application? Click here to download the Mercantile License Application. What do I need to submit to the City to receive payment for goods or services? A vendor registration form and a signed and completed November 2017 IRS W-9 Form.